Council provides the following services to assist residents to manage their waste in a manner that protects the environment and community health. The term of this agreement will commence on the selected drop off date and end on the selected pick up date. The price for the supply of any goods, services, or other things is stated as inclusive of any goods and services or similar tax imposed at the point of sale of time of supply on the supply of goods, services or other things in Australia (GST). You will pay Ipswich Waste Services (IWS) the quoted service charges including any rental charges. In addition you will also be liable for any additional charges that are applicable to any extra services requested by you that are carried out by IWS on your behalf. You will only place the appropriate material in the equipment/containers (refer to items 11 & 12). Additional charges may be applied if alternative arrangements are required to remove the inappropriate material. You agree that in the event that the payment terms hereinbefore stated are not met and that collections and/or legal action is taken by IWS or its representatives then you shall reimburse IWS for all costs and commissions which are incurred and are payable in any collections and/or legal action taken for recovery of monies due and owing. The equipment will at all times be IWS property and IWS will have unrestricted and unobstructed access to it. IWS may modify or replace the equipment at its discretion and will otherwise carry out usual maintenance on the equipment during our operating hours. You will be responsible for all loss or damage to the equipment whatsoever and howsoever caused which is not a result of ordinary wear and tear and is not caused by IWS. 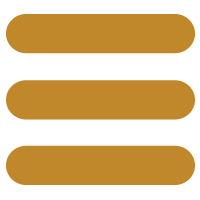 You indemnify and release IWS and all its employees and officers from all losses, claims and liabilities incurred by you and/or any third parties with respect to the use, operation and possession of the equipment by you. This indemnity and release will continue notwithstanding termination of this Agreement. When transporting regulated waste, IWS agrees to act as your agent in accordance with s81U of the Environmental Protection Regulation 2008. 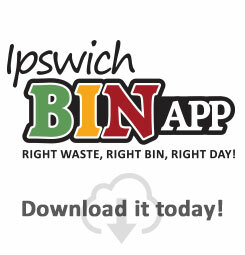 Ipswich City Council is collecting your personal information so that we can provide your requested waste management service. We will not disclose your personal information outside of Council unless we are required by law or you have given your consent. By accepting these T&C’s, we will consider that you have given us your consent to manage your personal information in the manner described in Council's Privacy Statement, Personal Information Digest and this collection notice. Each bin must only be filled level with the top of the bin and no higher (i.e. water level). NO wet cement, liquids (e.g. paint and chemicals), tyres, batteries or gas bottles are to be placed in the bin. If we place the skip in the nominated location and are then required to return to move the bin to an alternate location, there will be a service fee charge of $70.00. If however, the bin cannot be moved to a different location due to WH&S issues, the customer can cancel the skip booking and will be given a refund of the cost of the skip less the nominated service fee of $70.00. If a skip cannot be removed on the selected date due to unforeseen circumstances, it will be removed on the next available day. IWS skip bins may be located on the nature strip if the bin does not interfere with the pedestrian walkway and road safety. IWS skips will not be located on the roadway.